As you probably know, the Ellison Lane Modern Mini Challenge ended yesterday and after much deliberation the finalists are availble for us to vote on today. So head on over there to vote- but bear in mind that you WILL have your work cut out for you as there are some great contenders! 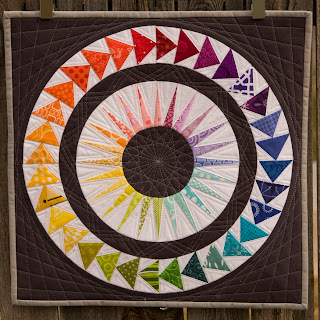 and Jen Johnston's Rainbow Compass which I spotted on Flickr last week and imediately fell in love with! Head on over to the competiton pages to check out the rest of the contenders and place your votes! I also got an email this morning from Fat Quartley to remind me that the groups are closing today for the London Retreat sample swap and the name tag swap. I have been on these lists for months now and I am crazy excited about the quilty weekend, but I popped back on over just to double check. If you're coming along have a look at the discussion boards! 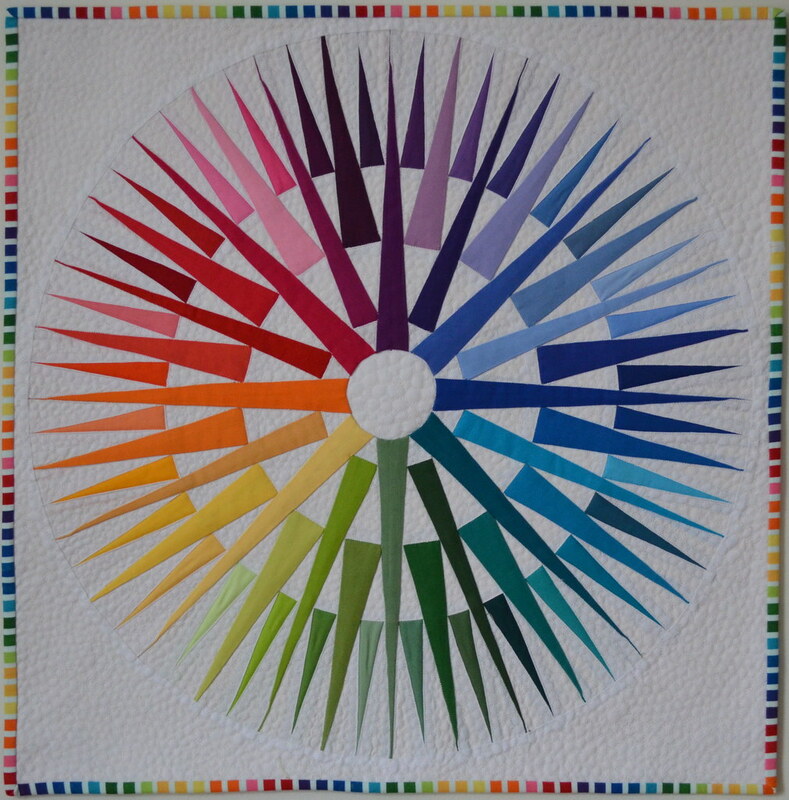 And to top it all off, I am avoiding flickr today as the lovely Susan of Canadian Abroad has told me that her Brit Bee block is done and in the post, so I am on the edge of my seat waiting for the surprise. I will have most of them back soon and will be showing a lovely group photo asap. After my mini challenge weekend, I had a night off the Maple Leaf Rag last night while I took Shep to his obedience class but should be back on it tonight with pictures to share soon. Kati and Jen are awesome! Can't wait to see all the scary-Marys all in a row! I love both of these rainbows, it was so hard to vote for just one!